Great neighborhood with lots of amenities. The clubhouse is well maintained with a gym that has 3 workout areas. We plan to make good use of the pool this year, as well! So far so good. The front gate wasn't working the other day and the hot water stopped flowing, that sucked. The coffee at the club house is great, but it ran out of milk which also sucked. I love the location and gated community of Plantation Park! The lobby is beautiful and right next to some great establishments in Ballantyne!! Plantation Park is perfectly located in Ballantyne. It seems to have every thing that you would need in the apartment complex including a pool with a great lounge area, a well equipped gym and a great clubhouse to relax at. Great place to live. The staff are incredible. Plenty of amazing amenities available for residents to use. And there is an Amazon hub locker for packages. I loved this appartment. It is quite spacious and well maintained.. However its been just few days we moved in but I found the community a great place to live in.. Amenities are superb.. location is fabulous.. Leasing staff is so cooperative..
Sabrina, Tavarus, Jorge, and Santiago have been fantastic in helping us select a unit and making sure it is perfect. We are happy to be here. I just moved to North Carolina and living in plantation park apartments has made it such an easy adjustment. The community is beautiful and the apartments are spacious. Most importantly it feels safe! This is a nice community and the staff is helpful. It is quiet and safe. The amenities are good. Parking is ample. Very happy so far with our service. Love here but it needs to cater to children as well for playgrounds! You all have a dog park only! Not good ! Other than that the office staff is wonderful shout out to Tavurus well the only guy in there he is always following through!! The way you all keep it clean love it ! Maintenance is great! Angela, we're happy you found our staff to be so supportive during your experience here at Plantation Park. Thank you so much again for your feedback! We hope you have a great day! The area is fantastic. The apartments are excellent. Any maintenance issues are usually handled extremely quickly. The office team are great. Hi Melchior, thank you so much for your positive comments about Plantation Park! We hope to see you soon! Your wonderful feedback and rating mean a lot to us, thank you. Hello Mary, we appreciate you taking the time to leave us this feedback. Thank you, and have a fantastic day! This is an ok apartment complex. It is a bit pricey for the area but the Location is convenient for my work commute. Also, parking is the worst. I park 4-5 buildings away nightly. Not convenient when you pay over $1,000 per month. It’s a great location, nice restaurants, shopping centers and grocery stores. Very good schools. Very friendly staff always ready to help you. Hi Mirna M., Thank you so much for your positive comments about Plantation Park! Have a fantastic day! Sometimes the key fob is a little messed up, but otherwise I have enjoyed living here at Plantation Park. Maintenance always responds very quickly. I have enjoyed my time here. everything is clean and the maintenance crew is very fast i fix any issues. i would definitely recommend living here. Very nice and energetic staff. The neighborhood has great upkeep and units are upgraded. This is my first time in Charlotte and I think Plantation Park helped with a great experience. 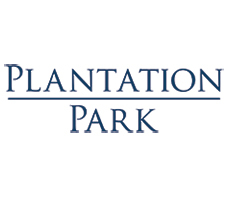 Plantation Park is a great place to live, I thoroughly enjoyed my time there. The leasing department was always easy to work with and any time something came up there was always a quick and easy solution. Expensive area to live in, but the staff is very friendly. They respond to requests very quickly. Parking could be better for those deeper within the complex. Just moved in to #328. So far so good. Staff support and direction has been great. Looking forward to using the pool and amenities. All good. Love plantation park. Great place and great location. This is our second year signing and will most likely sign again. The staff is very understanding and helpful and the maintenance is outstanding. Everyone is so kind. Hi Celina, thank you so much for your positive comments about Plantation Park! We look forward to your next visit! Have a great weekend!